Who said Christmas decorations have to be only red and green? 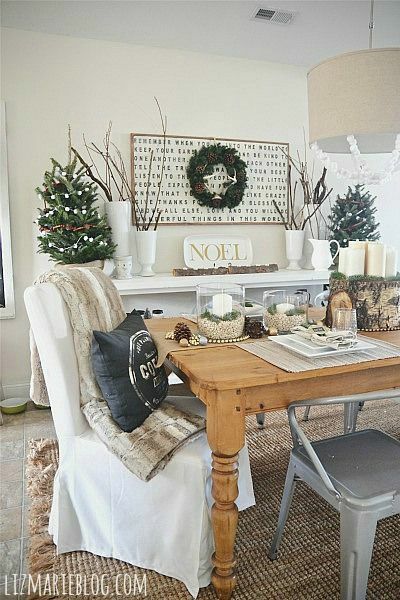 This year the latest in Christmas decor is what I am calling “rustic glam.” Neutral colors, twine, and glitter can show the Christmas spirit just as well as red and green do. 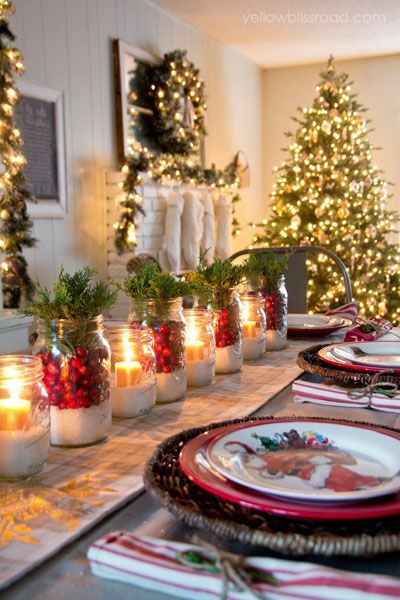 Here are some of my favorite ways to incorporate this Christmas style. 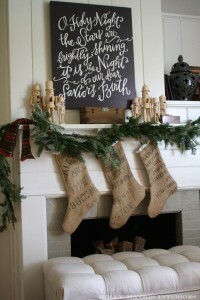 A fire in the fireplace and stockings hanging from the mantle are a staple in Christmas decor. I love these stockings because they are very understated and simple elegance. 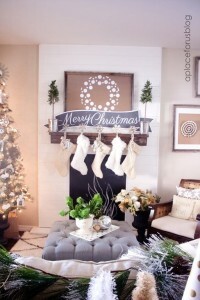 The burlap bag stockings and the white fur stockings are great options. Add some additional decorations to make it a focal point of the room. I love the handwritten signs and the simple greenery. These neutral trees are perfect for the rustic glam holiday look. 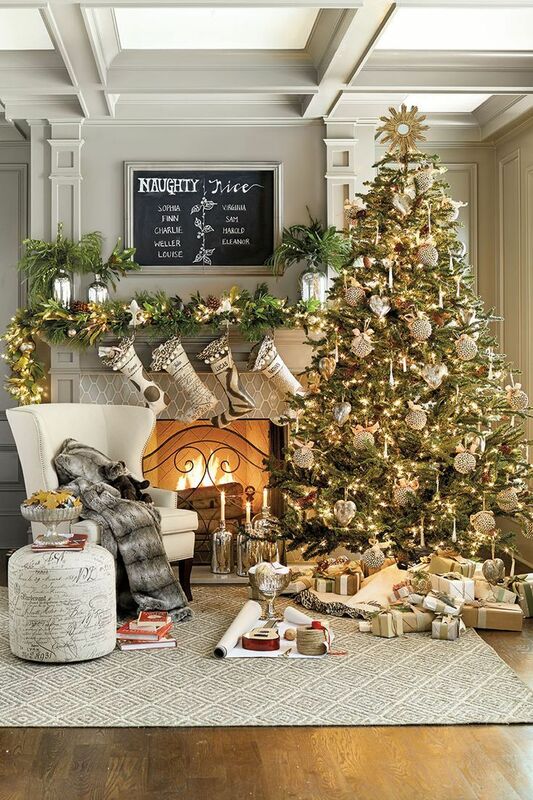 Real or realistic trees are definitely part of this look. 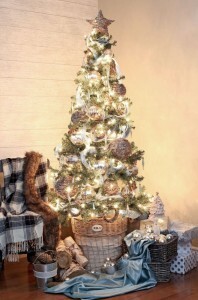 Notice the metallic ribbon through the tree with rustic ornaments. A mix of silver, gold, white, and brown look so great on these trees. Your dining room is important to decorate for those big holiday meals. 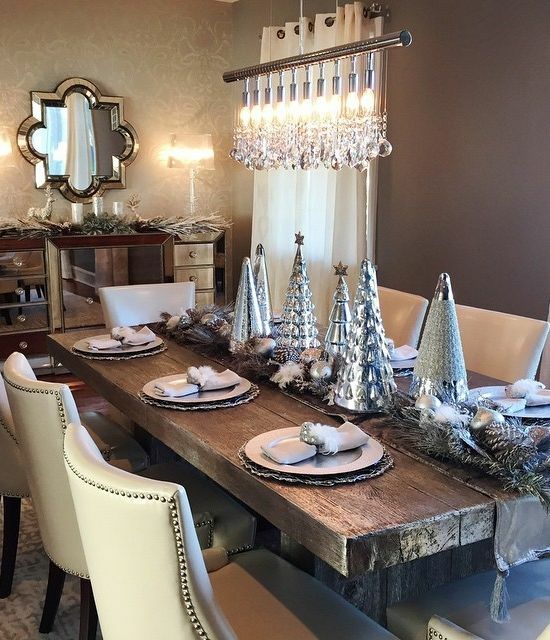 A mix of natural wood, pinecones or fir branches, and metallics make a stunning tablescape. 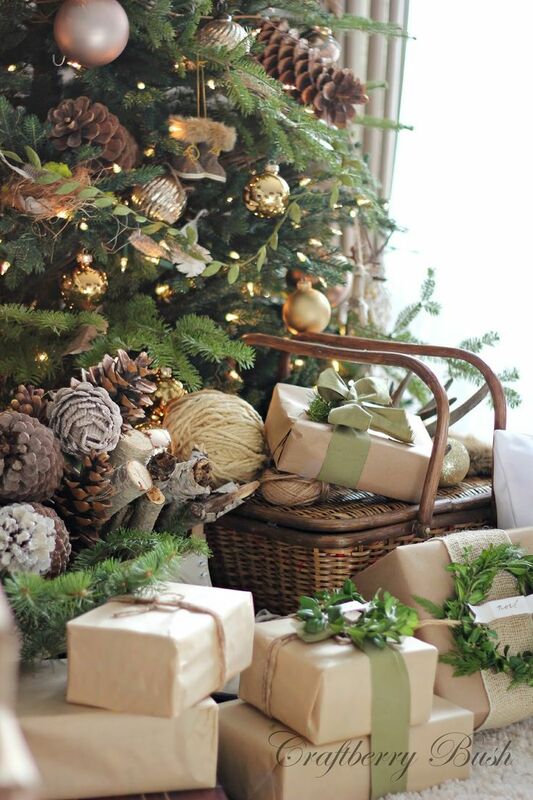 Gifts under your tree should fit in with your style. 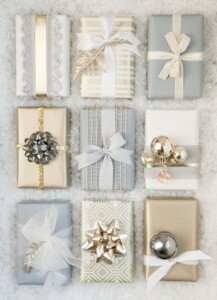 Beautifully wrapped gifts like these will make the people you are giving them to like them even more. The first option is more on the glam side, with lots of metallics. Bows and ornaments add a lot too. The second option is more rustic. Plain butcher paper with pops of colors in bows or greenery make such a cute statement. 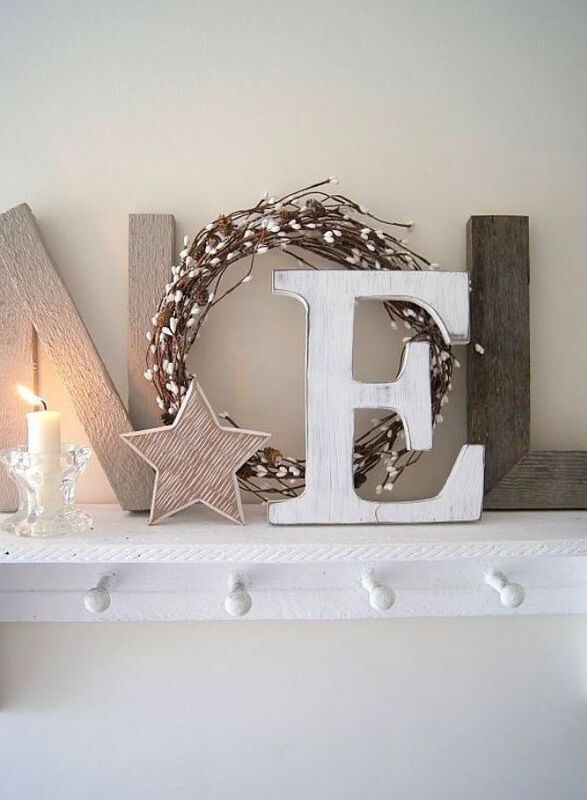 Both options say “Christmas” in an elegant way. Another great trend is natural-looking wreaths that go in other places rather than on a door. 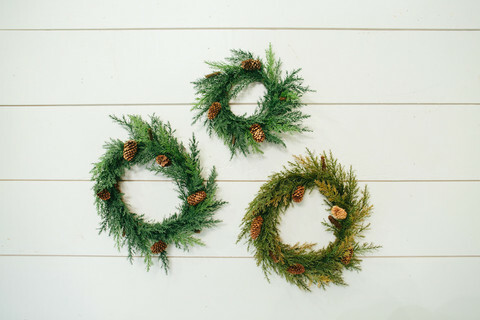 These options are so cute and would be a perfect decoration for any where in your house that needs some Christmas spirit. 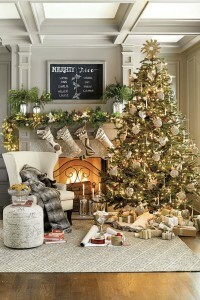 If you incorporate these rustic glam looks in your Christmas decorating, your home will definitely impress your guests. Have a Very Merry Christmas. Love this!! 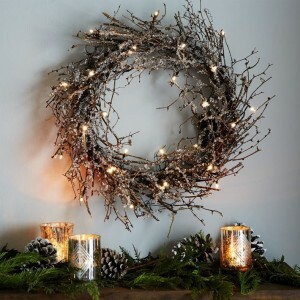 Used some of these ideas in my Christmas decorating this year.